Added to that mix are discovery services that try to bring together records from the catalog and records for articles that the library has full text access to. 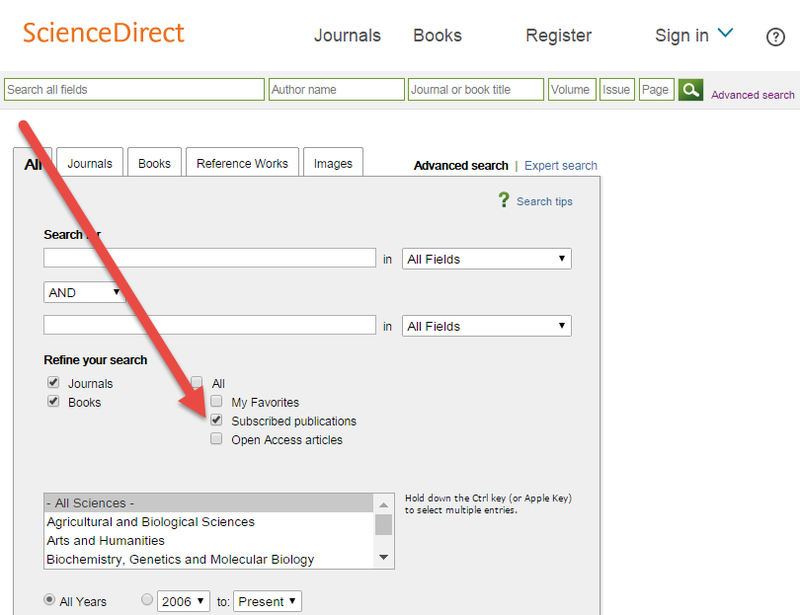 Commonly, those discovery services will also let the user change the search mode to find article records for which the library has no full-text access. 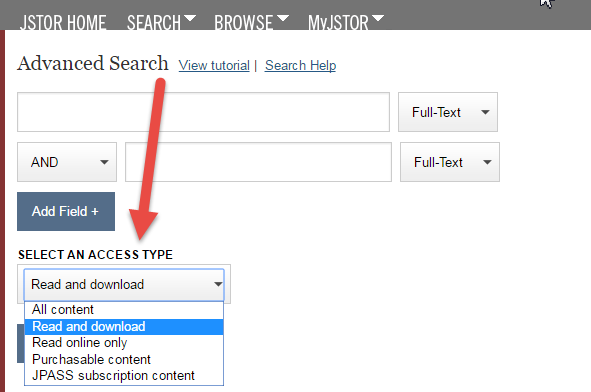 In most cases, libraries can go into administrative options for their discovery services and aggregator databases and set default search settings that control whether search results show all content or just the content the user has full-text access to. Typically, the search interfaces give the user a way to override the defaults at the search box (sometimes at the basic search box, more often only at the advanced search box) or on the search results pages. 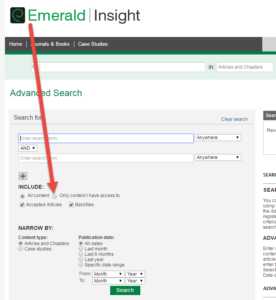 The search systems used by ejournal collections, though, seem to offer libraries and their users far less control over default search setting or the ability to refine search to only available content. 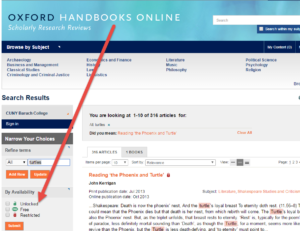 In this post, I want to review some of the ejournal platforms (and some ebook platforms) we have at Baruch College and spotlight the ones that give librarians who administer these systems and searchers who use them a measure of control over what should appear in the search results. 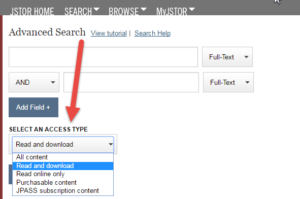 Admin options: Subscribing libraries have no way in the admin options or by submission of a support request to change the default search to show only results for available content. User options: Checkbox main search page to limit to “Only content I have access to.” Same checkbox also shown at top of facets on search results pages. Admin options: No way to change default search behavior. Admin options: I don’t recall how we set this up (maybe via a support ticket) but we were able to set defaults to only show available content. Admin options: There isn’t a way in the admin options or by means of a support request to change the default, which shows all content. User options: The search results page is the only way to change from the default of showing all content to just the “unlocked” content. 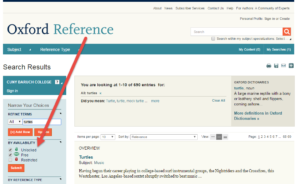 User options: No way to just see content the library has. 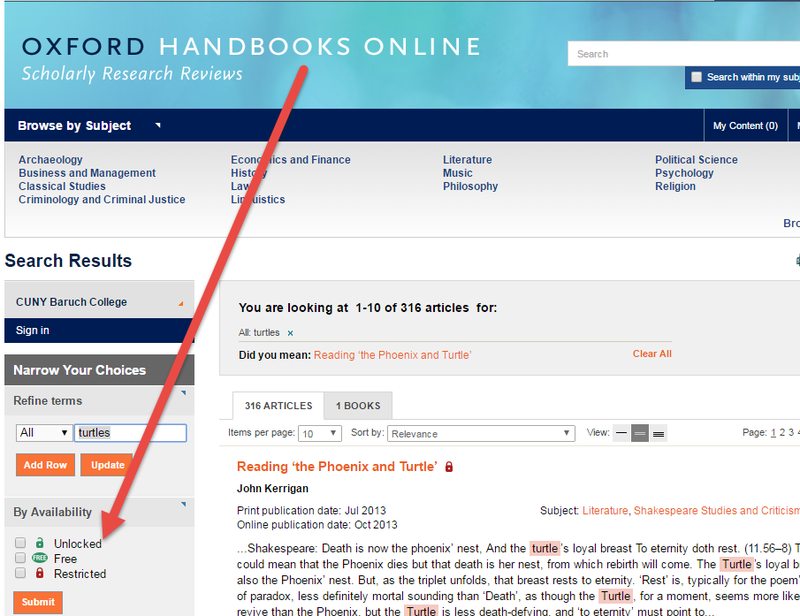 Admin options: Same interface as Oxford Handbooks Online (but different URL). 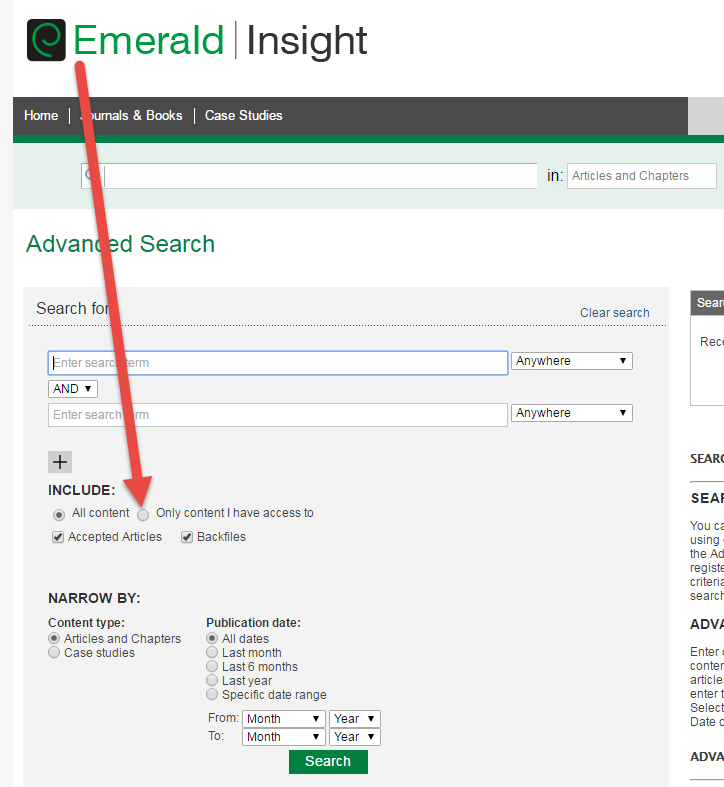 By default, search results limited “By Availability” to “Unlocked” and “Free” content. I don’t know how this get set up (it’s not an admin option). Admin options: By default, we have it set to show “Access” to “Only content I have full access to.” We had to submit a support request to get this set up. 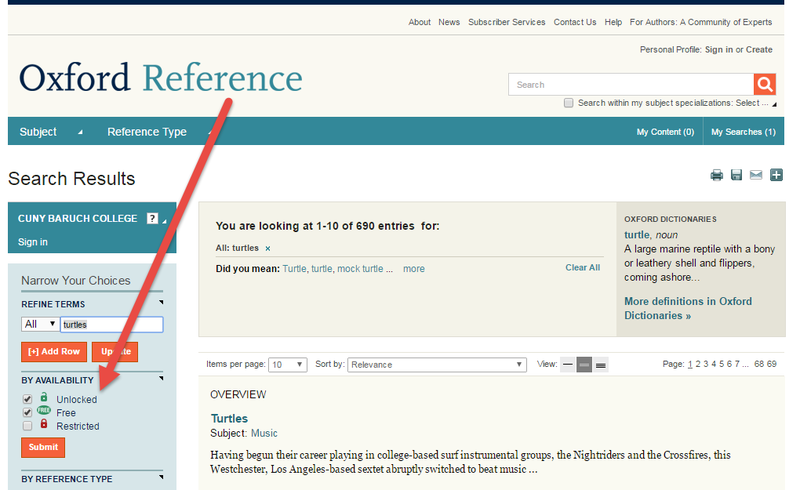 User options: The advanced search screen and the search results page give the user the checkbox to change the default setting and show all content. In my next post, I’ll summarize what I found from this quick survey of ejournal platforms and talk about the pros and cons of making all content visible. This entry was posted in Uncategorized and tagged Databases by Stephen Francoeur. Bookmark the permalink.